This is a very multi-faceted mountain. The “Normal” routes are seemingly easy and that is the most dangerous about them. Seemingly easy + very attractive = high death toll. 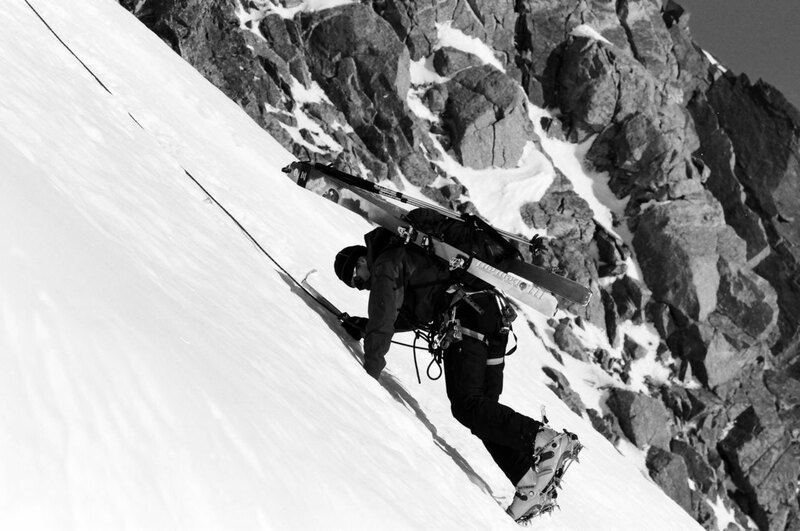 In absolute numbers every season on MontBlanc is more deadly then on Everest. The common denominator is complacency and it is a very easy trap to fall into (talking based on personal experience). The Cosmique Route / 3 Monts Traversée. Cable car to Col du Midi (last station), then hike to the Cosmiques hut and ascending via Mont-Blanc du Tacul (4248m) and Mont Maudit (4465m). Back either to Nid d’Aigile (via The Goûter Route) to catch a tram or a traverse above the Glacier des Bossons via the Grands Mulets hut (3051m) to l’Aiguille du Midi (cable car mid section). . The Goûter Route. Typically with Tramway du Mont-Blanc to Nid d’Aigile and ascent via le grand Colour up to the Tete Rousse hut (3167m), then via le grand coloir to the Goûter hut (3817m) and continue up passing the refuge Valot to the summit. Back the same way. There are multiple spots to start your route from (if it is not as straightforward as a cable car or tram stop) and ways to combine them almost circumnavigating the mountain. The Internet is full of resources. The organization “La Chamoniarde” runs a good web page http://www.ohm-chamonix.com with current weather condition on the Mountain and contact details for all Huts and Refuges. They are also involved in rescue missions. Guides are easy to find with or without prior arrangement. Which route to choose? In my opinion, if it is a lot of snow, do the Cosmiques route up & the Grands Mulets route down on skis (my all time favorite); if there is no snow – the Goûter is your choice. Unfortunately the mountain is skiable only until +/- the end of June. during summer try not to come at weekends. It will be crowded. do not bother with the Hut. Take a tent and a good tent-mate – your trip would be MUCH more enjoyable. Flexibility and freedom definitely are worth of extra 5 kg on your back and I honestly think that your personal tent is more comfortable and provides much better sleep. If you do so – be ethical to the mountain and carry your waste back to the valley. If you are going via the Goûter Route on foot – consider hike in and hike out from Les Houches. It will add a few hours to your trip, but what an enjoyment it is! Hike through the forest, alongside mountain streams all by yourself !!! No other tourists around. Pure delight. I LOVE snowboard, but if you plan to take the “normal” routes down (like The Grands Mulets Route) – skis would be more convenient due to the nature of the terrain (going up the hill and traverses). At least take telescopic poles. If you have a detachable snowboard – I envy you and you are all covered! If you are by yourself or in a very small party, no guides, inform somebody (hotel reception, camping neighbors…) that you are going up the mountain and tell when you are planning to come back.